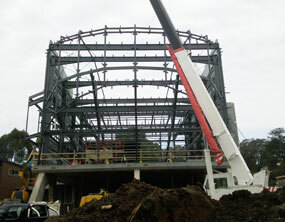 Skrobar Engineering offers steelwork for a wide range of office, commercial, warehousing and production facilities. 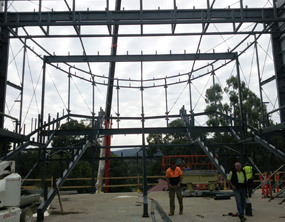 Since our establishment, we have specialised in institutional building works, universities, schools, hospitals, nursing homes and sporting facilities, and have been chosen by many leading Victorian businesses to provide structural steel for their projects. We are proud to specialise in bespoke projects, where our experience and expertise allow us to provide highly customised, made-to-order parts with a high level of customer input. Whether it is a unique or complex architectural design or a project requiring over 3000 different parts made to buyer specifications, Skrobar Engineering can offer personalised steelwork tailored to your requirements. Contact us today to find out how Skrobar Engineering can offer steelwork solutions for your project. If you have any enquiries or would like more information, please don't hesitate to contact us. We are located at 34 Elliott Road, Dandenong South. Copyright © 2012 Skrobar|Trojan. All Rights Reserved.